Our brokerage division provides a services that handles direct mill shipments worldwide by truck, rail and overseas container. Direct mail shipments provide the highest level of revenue for our clients. 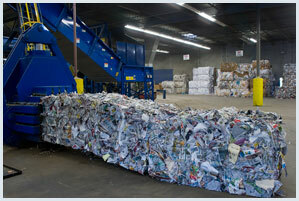 Paper Recovery of Georgia, Inc. offers financing for equipment related to recycling and destruction, including complete baling systems tailored to the needs of each client. Our affiliated facility in Northlake, IL consists of a 90,000 square foot processing plant serviced by both truck and rail. The Rome, GA facility is 60,000 square feet, and also serviced by truck and rail. Baled and skidded materials that cannot be shipped directly to mills from selected sources are received at these locations. They are then graded, processed, and staged for reshipment to various mills. The company also performs specialized baling operations for de-inking mills and products comprised of specialty papers. 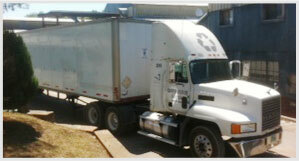 Our Roll-Off Division provides compactor boxes and open-tops for your recycling needs. This added service allows Paper Recovery of Georgia, Inc to offer a completely customizable program tailored to each client’s needs. This service is available day or night, 7 days a week.